It has nootropic, cerebrovasodilating, antihypoxic and self-stimulating action. Derived admantane, the chemical structure and pharmacological properties similar to amantadine. It blocks glutamate N-methyl-D-aspartate receptors (NMDA receptors) (including the substantia nigra), thereby reducing the excessive stimulating effect of cortical glutamate neurons on the naneostratum that develops against the background of insufficient release of dopamine. Reducing the flow of ionized calcium into neurons, reduces the possibility of their destruction. Mostly affects stiffness (rigidity and bradykinesia). 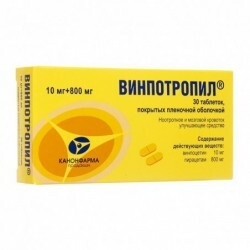 Improves weakened memory, concentration, reduces fatigue and symptoms of depression, reduces spasticity caused by diseases and injuries of the brain. - dementia of Alzheimer's type of moderate and severe. excipients: tablet core - lactose monohydrate 149.75 mg, microcrystalline cellulose 27.10 mg, talc 11.15 mg, colloidal silicon dioxide 1.25 mg, magnesium stearate 0.75 mg; shell - White opadry (lactose monohydrate 2.16 mg, hypromellose 1.68 mg, titanium dioxide 1.56 mg, macrogol-4000 0.60 mg) - 6.00 mg. Therapy should be carried out under the supervision of a physician with expertise in the diagnosis and treatment of dementia in Alzheimer's disease. Therapy should be initiated only if the person providing regular patient care will monitor the patient's drug intake. The diagnosis should be made in accordance with the current recommendations. Tolerability and dose of the drug should be regularly assessed, mainly within three months after the start of therapy. Then you should regularly evaluate the clinical efficacy of the drug and the tolerability of therapy in accordance with the current clinical guidelines. Maintenance therapy can continue indefinitely with a therapeutic effect and good tolerability of the drug. The drug should be discontinued if the therapeutic effect is no longer observed or if the patient does not tolerate treatment. The drug is taken orally, 1 time / day, always at the same time, regardless of the meal. Dosing regimen set individually. 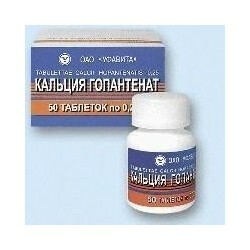 It is recommended to begin treatment with the appointment of the minimum effective dose. Prescribe the drug during the 1st week of therapy (days 1-7) at a dose of 5 mg / day, during the 2nd week (days 8-14) - at a dose of 10 mg / day, during the 3rd week (days 15-21) - at a dose of 15 mg / day, during the 4th week (days 22-28) - at a dose of 20 mg / day. The maximum daily dose of 20 mg. In patients older than 65 years, as well as in patients with CC 50-80 ml / min, dose adjustment is not required. For patients with moderate renal insufficiency (CK 30-49 ml / min), the daily dose is 10 mg. In the future, with good tolerability of the drug for 7 weeks, the dose can be increased to 20 mg according to the standard scheme. Place the tablet with the rounded side face up on a hard surface. Press the index and thumb of one hand on the opposite sides of the tablet, continue to apply pressure with your fingers until the tablet breaks into two pieces. The incidence of adverse reactions was classified as follows: very often (≥1 / 10), often (≥1 / 100, <1/10). infrequently (≥1 / 1000, <1/100), rarely (≥1 / 10 000, <1/1000), very rarely (<1/10 000), the frequency has not been established (currently there are no data on the prevalence of adverse reactions ). Infectious and parasitic diseases: infrequently - fungal infections. On the part of the immune system: often - hypersensitivity to memantine or other components that make up the drug. Psychiatric disorders: infrequently - confusion, hallucinations (mainly in patients with severe Alzheimer's disease); frequency not established - psychotic reactions. On the part of the nervous system: often - headache, drowsiness, dizziness, imbalance; infrequently - gait disturbance: very rarely - convulsions, epileptic seizures. From the side of the heart: infrequently - heart failure, heart defects. On the part of the vessels: often - increased blood pressure, venous thrombosis and / or thromboembolism. The respiratory system, organs of the chest and mediastinum: often - shortness of breath. On the part of the digestive tract: often - constipation; rarely - nausea, vomiting; frequency is not installed - pancreatitis. Liver and biliary tract: often - impaired liver function tests. Other: infrequently - fatigue, weakness. In Alzheimer's disease, patients in post-registration studies reported depression, suicidal thoughts and suicide cases. In the post-marketing period, the following adverse reactions were reported: agranulocytosis, leukopenia (including neutropenia), pancytopenia, thrombocytopenia, thrombocytopenic purpura, hepatitis, acute renal failure, Stevens-Johnson syndrome. - lactose intolerance, lactase deficiency lapp or glucose-galactose malabsorption (the product contains lactose monohydrate). With caution prescribed to patients with thyrotoxicosis, epilepsy; predisposition to the development of seizures; simultaneous use of NMDA receptor antagonists (amantadine, ketamine, dextromethorphan), the presence of factors that increase urine pH (abrupt diet change, abundant intake of alkaline gastric buffers), renal canalicular acidosis, severe urinary tract infections, myocardial infarction in history, heart failure III IV functional class (according to the NYHA classification), uncontrolled arterial hypertension, renal and hepatic insufficiency. With simultaneous use with levodopa preparations, dopamine receptor antagonists, m-holinoblokatorami the action of the latter can be enhanced. With simultaneous use with barbiturates and neuroleptics, the effect of the latter may be reduced. When used together, it can change (increase or decrease) the effect of dantrolene or baclofen, so the doses of drugs should be selected individually. Concurrent use with amantadine, ketamine, phenytoin and dextromethorphan should be avoided due to the increased risk of developing psychosis. It is possible to increase the concentration of cimetidine, ranitidine, procainamide, quinidine, quinine and nicotine in the blood plasma when taken together with memantine. 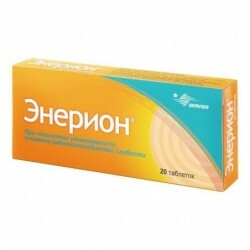 May decrease the level of hydrochlorothiazide when combined with memantine. 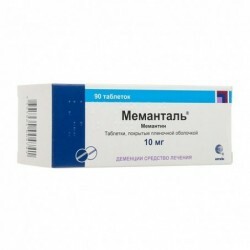 Memantine is able to increase the excretion of hydrochlorothiazide. Perhaps an increase in MHO in patients taking oral anticoagulants (warfarin). Simultaneous use with antidepressants, selective serotonin reuptake inhibitors and MAO inhibitors requires careful monitoring of patients. In vitro, memantine does not inhibit isoenzymes CYP1A2, 2A6, 2C9, 2D6, 2E1, 3A, flavin-containing monoxidase, epoxyhydrolase, or sulfation. No data are available on the use of memantine in pregnant women. Memantine should be used only when the expected benefit to the mother outweighs the potential risk to the fetus. With caution prescribed to patients with thyrotoxicosis, epilepsy, convulsions (including history); simultaneous use of NMDA receptor antagonists (amantadine, ketamine, dextromethorphan). the presence of factors that increase the urine pH (abrupt diet change, abundant intake of alkaline gastric buffers), severe urinary tract infections, history of myocardial infarction, heart failure III-IV functional class (according to NYHA classification), uncontrolled arterial hypertension, renal and hepatic failure. 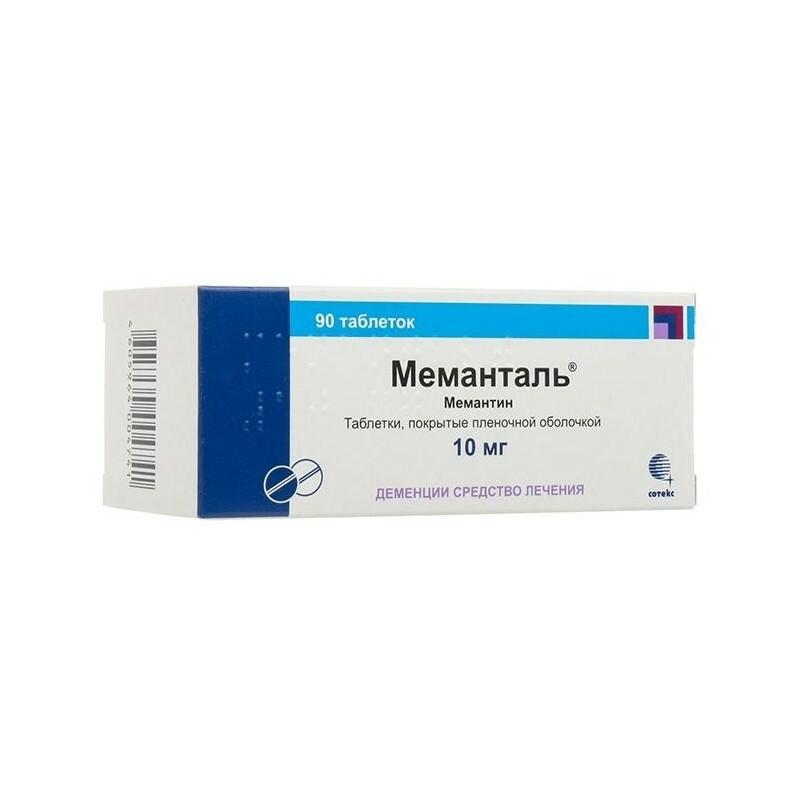 Memantine can cause a change in the reaction rate, so it is necessary to refrain from potentially dangerous activities that require increased concentration of attention and speed of psychomotor reactions. Symptoms: dizziness, tremor, agitation, drowsiness, confusion, agitation, stupor, convulsions, psychosis, aggressiveness, hallucinations, vomiting, unsteadiness of gait, diarrhea. 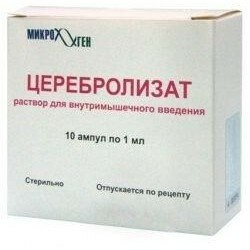 Treatment: gastric lavage, taking activated charcoal, symptomatic therapy. There is no specific antidote.